In September 2016, a 72-year-old former member of the Australian national soccer team suffered what must have been an extremely painful death when his oxygen supply was somehow connected to his urinary catheter. The oxygen filled his bladder until it burst, and then the gas expanded his abdomen so much that his diaphragm was pushed up causing his lungs to collapse. The flow of blood returning to his heart was also obstructed. What we don’t know is how this could have happened. Some have speculated that it was caused by a system problem. For example, the design of the connections on the urinary catheter and oxygen tubing might be similar and easily confused. Although this would be a simple explanation and might lessen the degree of human error involved, I’m not buying it. The types of connections used for urinary catheters and oxygen tubing are quite different. The end of a urinary catheter is a female connection with a relatively wide diameter to accommodate the male end of the tubing leading to the drainage bag. See figure below. 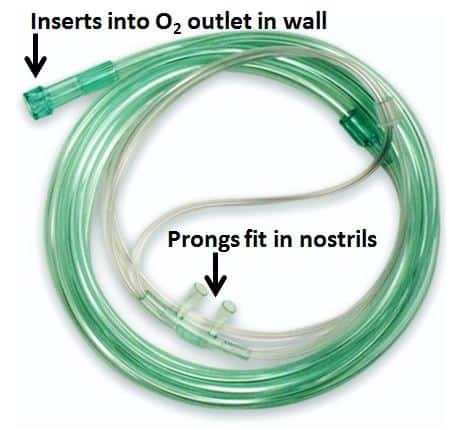 The oxygen administration tubing is usually a combination of tube and nasal prongs as a single unit. See figure below. 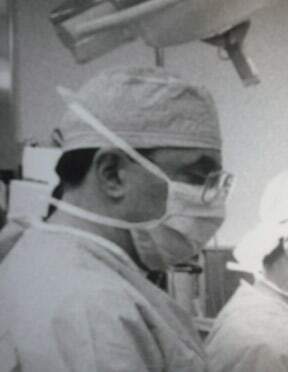 Considering the incompatible tubing, it is difficult to imagine how the oxygen could have been connected to the urinary catheter by the elderly patient. Yet it is also inconceivable that any hospital staffer could think that oxygen should be given via the bladder. At the coroner’s inquest, which is still in progress, one account says a nurse recalled seeing a white connector between the green oxygen tube and the brown catheter but said she did not know what it was nor did she realize its implications. According to another article, the police were told by hospital personnel that the patient, who was allegedly somewhat confused, may have connected the oxygen to his urinary catheter himself. I scoffed at that until I did a literature search. Although I had never heard of a complication like this before, a paper in the Scandinavian Journal of Urology and Nephrology reported two cases of bladder rupture after inadvertent connection of oxygen to a urinary catheter by a patient. Both cases, occurring in 1978 and 1999, involved men in their 70s. One patient was confused, and the other had chronic obstructive lung disease. Both had accidental disconnections of the oxygen and urinary tubes, and both connected the oxygen supply to their bladder catheters. Surprisingly, both survived after one was treated with observation only, and the other had a laparotomy and repair of the bladder perforation. How those two elderly men managed to overcome the challenge of connecting the oxygen tubing to the urinary catheter was not explained in the paper. The patient in Australia was receiving oxygen when he arrived on the floor, but the physician who admitted him testified that he did not order oxygen to be given. The case also involves issues with the electronic medical record. The nurses did not look at the admitting doctor’s notes. A student nurse entered the information that the patient was on oxygen using a registered nurse’s login. The RN who allowed the student to use her password for the EMR admitted that using other people’s passwords happened all the time because there often weren’t enough computers and that she was not directly supervising the student. When the patient was admitted, the respiratory floor had no beds, and the patient was sent to a general medical unit. You may be wondering what happened to the urinary catheter and the oxygen tubing. They were “destroyed” before the police or anyone else investigating the incident could inspect them. The inquest continues, and this post will be updated when the coroner releases his verdict. Meanwhile, what do you think happened? Did the patient connect the oxygen tubing to his urinary catheter or was it done by a caregiver? Communication and Integration in Emergency Care: Has Anything Changed in 30 Years? Can Statins Reduce Cancer-Related Mortality? Very alarming and saddening news. I can’t believe it. Pointing each others hand is not the right time as one physician clearly saying he/she does not say to put a tube to the patient. A thorough investigation is needed. I hope there is follow up news after the investigation. Thank you for the link. I am trying to understand the whole thing. Extension tubing was my first guess too. Also, if a confused person had seen bladder irrigation before, not fully realizing the concept, and thought the oxygen tubing was supposed to be hooked to the foley? I agree he could have confused the tubing. What I don’t get is how he could have connected the tubes without some sort of modification. I still think it was a hospital staffer. your blog is very useful to know about misconnection of medical devices is so dangerous for patients,\. It could have been the patient error if the adapter for the o2 tubing was in place and the patient was confused due to hypoxia. Or…. same scenario with the adapter being connected, but this time, staff providing care, foley change, bathing etc. and connected the wrong equipment. I don’t see how oxygen tubing with nasal prongs could be attached to a Foley catheter without a lot of effort. The prongs would have to be cut off at a minimum. The remaining tubing would not fit tightly inside the end of the catheter. By the way, this case has disappeared from the news. Nothing new has been written about for more than two weeks. It is common in my hospital to need an oxygen extension tubing between the wall outlet and the patient’s device. That could be mistakenly inserted into the catheter. Good point. I haven’t seen that lately, but I guess extension tubing is still around. We might not be having this conversation if they hadn’t destroyed the evidence.